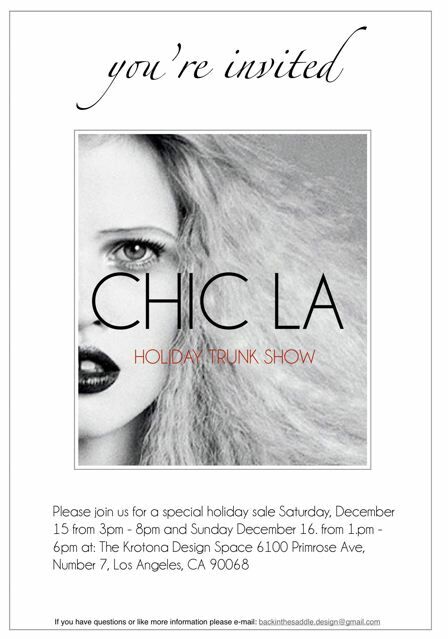 Chic LA is hosting a Holiday Trunk Sale on December 15th (3 – 8 pm) and December 16th (1 – 6 pm). Join the gang at the Krotona Design Space for treats, wine, and some holiday shopping. 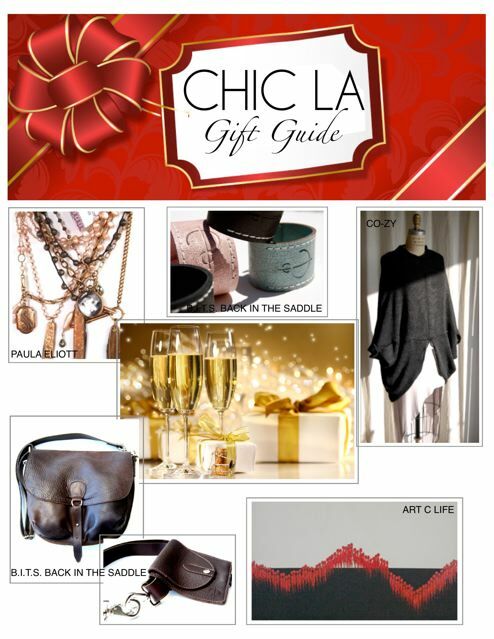 There will be designer cake pops from Petite Sweetz, original art work from Art C Life, reincarnated vintage jewelry by Paula Eliott, and beautiful handbags, saddle bags, accessories, and clothing from Cindy Gellersen. Cindy added a new addition to her Bagstil and BITS collection. It’s called CO-ZY. The line is inspired by the modern woman who understands the powerful statement of a relaxed attitude in life. These comfortable pieces are made from the finest materials so it feels as if you have nothing on your skin. So, be sure to stop by Krotona and score some sweet holiday deals.